The vast amount of history in this area is beyond amazing. We did the historic triangle and it was well worth the money. We spent four full days between the 3 areas. The Williamsburg, Yorktown and Jamestown Visitor Centers are great. The opportunity to view a film prior to visiting the exhibits gives people a good idea about what they will see and ideas about what they will look for. Lots of fun with the kids. They learned a lot and enjoyed themselves.God to go on vacation where you can have fun AND learn about your country. Spent 1 day in each. Very quaint places. Thought they could have had more reenactments in Jamestown. 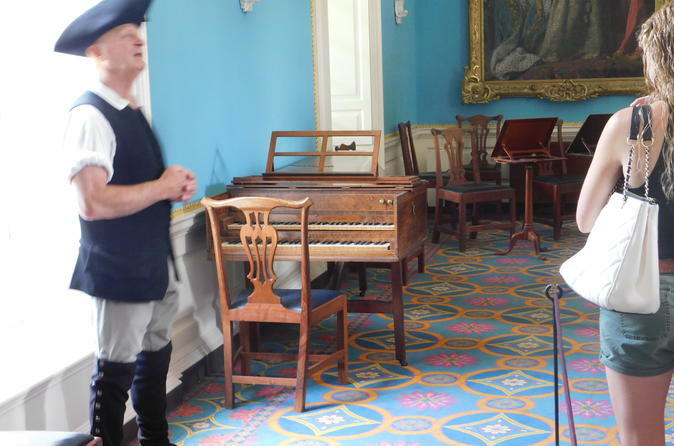 For history enthusiasts, this place must be added to your list- especially the museum of 1770 life. I took 5 kids with me ages 8 to 16 and they all had a great time. There really is somehing for everyone, as long as there is curiosity and interest in learning. This was the best thing for our trip. We got our badges at the visitor center the first day and then went to see everything. We purchased the 7 day pass which gave us entry to everything. Well worth the money. We spent 2 days touring the exhibits and demonstrations in Colonial Williamsburg and loved it even with the rain on the first day. We had come prepared with rain gear so we were able to spend the day walking to many of the exhibits because they are in the buildings and as a result the show went on. 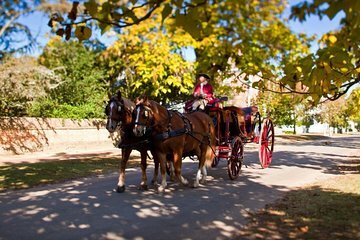 The second day was a vacation dream with Sunny skies, mild temperatures and a light breeze and that made it perfect for one of the carriage rides with the informative driver whose demeanor fit the experience perfectly. We were able to interact with several of the artisans, craftspeople and presenters and I must complement all for the excellent presentations we were able to witness. This would be a great adult excursion or family exploration to get a feel for where the United States came from. If you love history, you will love Williamsburg. Lots to do and see. You will need admission to visit this wonderful historical part of our USA past. By purchasing you Viator admission voucher before you go will by-pass long lines and get you touring this marvelous part of our country's history.